WARNINGS: “We’ve been listening to Elton John…”; PROMISES: "The next record will be more extreme..."
At the moment things are going as well as can be expected, with the album’s lead single ‘Love Steals Us From Loneliness’ having landed just outside the Top Ten, and their current tour to promote ‘Warnings/Promises’ being confirmed as a virtual sell-out in every town and city where the ‘wild doth tread. 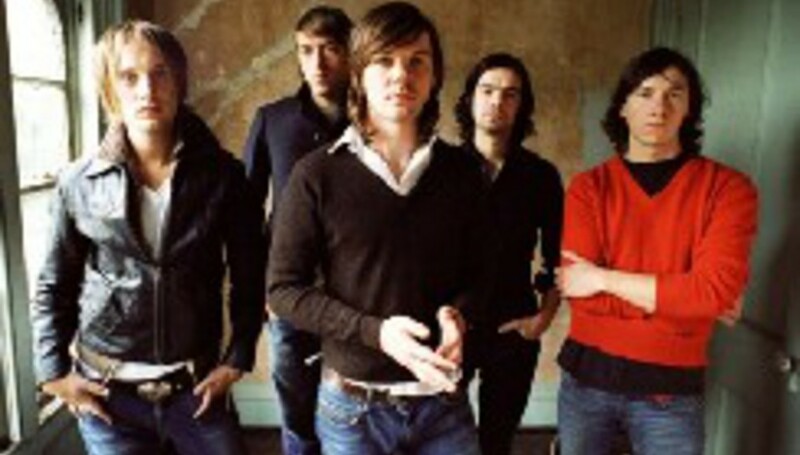 One thing that has helped set Idlewild from many of their peers is the consistency of their live shows, not only by way of the fact they’ve such a high standard back catalogue to pick and choose their set from, but also the undying font of enthusiasm that seems to have been with the band from day one and shows no sign of diminishing. When bands say the next album is “a progression of the last one”, that usually means they’ve spent the last 12 months regurgitating their best songs, but with Idlewild its would be understating their achievements by not describing every record as a progression both musically and lyrically, as well as the band’s forte for constructing whole albums around themes and dare I say it, concepts. And yet, despite the obvious comparisons with the likes of REM, Colin Newton still doesn’t ever see the band becoming a major commercial success. Having been compared to REM largely due to the similarities between ‘The Remote Part’ and some of Michael Stipe and co.’s more introspective moments, it seems that the most logical conclusion would be for both bands to tour together, something which is happening this summer when Idlewild support on a number of REM’s UK stadium dates. Colin Newton talks about their mutual appreciation society. Does it not worry you though that Stipe might read some of the articles comparing you to REM and eventually dismiss you as a bunch of plagiarists? As the band have got older (and possibly wiser), their direction has taken a more mature, developed sheen to it, something which possibly owes a little to the five-headed beast of eclecticism currently fighting for the Blaupunkt CD mixer on the tour bus. Their new album ‘Warnings/Promises’ is their fifth long(ish) player in seven years, and is without doubt their most audacious attempt at closing the gap between the college punk band that kicked things off and the more parents-and-cool-kids together radio-friendly anthems that owe as much to the likes of Big Country and Runrig as they do Husker Du and Nirvana. Colin Newton explains how being in Los Angeles inspired them to re-start and eventually finish the album. And with that, the conversation turns to their next album, which Colin promises will be “more extreme”, before the band head off to play another heady cocktail of 2 minute punk thrashes, It’s A Scream jukebox singalongs and refined-but-with-a-jaggy-edge pop songs to a sold out Nottingham Rock City.